We understand that and work with you to build innovative and creative application solutions. InterKnowlogy Agency Partners are some of the most innovative and technologically savvy digital design firms in the business today. If you want to set your brand apart from the competition, consider a Design Agency Partnership with InterKnowlogy. We partner with agencies to add value to their company by being their “Go To” custom development team and give them an inside track on the latest technology developments in the software solution industry. 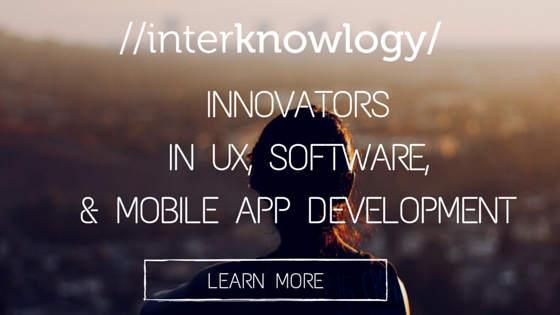 InterKnowlogy is the leading source and expertise in the area of custom software and application solutions for Fortune 500 companies. At InterKnowlogy we meet and collaborate with our partners to understand the project needs and the best approach to tackle it. We want to equip your agency to offer leading edge solutions that make you stand above the rest of the marketplace. We truly enjoy working with all our agency partners. If you’re part of a design agency that is looking for a quality software development team to partner with, we encourage you to reach out and get in touch with us! Visit our website at www.interknowlogy.com and checkout some of our projects we are happy to answer any questions or provide you with additional information. We create impact through technology. Get the edge, contact us!